Lucknow, February 7: In Uttar Pradesh, the high school and intermediate examinations of the UP Board begin today amid tight security. Uttar Pradesh Secondary Education Board has made elaborate arrangements for the exam which includes CCTV camera and voice recorder at each and every center of the state. 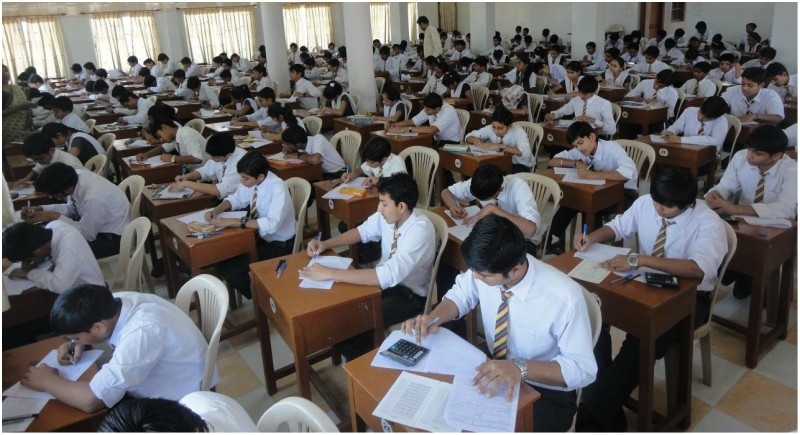 More than 58 lakh students are set to appear in high school and intermediate examinations out of which around 32 lakh will appear in high school and 26 lakh will appear in intermediate exams. Due to strictness last year, the examinee count this year is around 9 lakh less than last year. Chief minister Yogi Adityanath has already said that for any paper leak or copying all district magistrates and district inspector of schools will be held responsible along with other officials. Neena Srivastava, secretary, UP Board said that voice recording and CCTV footages installed at 8354 examination centres across the state will be monitored continuously. Deputy Chief Minister Dinesh Sharma who is also the education minister of state has advised students to stay focused and do yoga to avoid the stress of an examination.